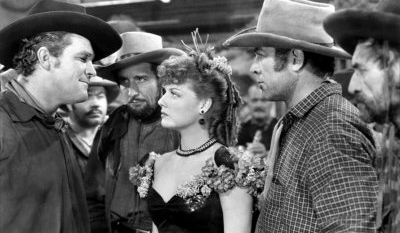 DODGE CITY—–The Flynning Of The West, featuring the greatest saloon bust-up of ’em all, and enough of those time-tested Warner Brothers gunshot sounds to alarm the NRA. Under the breakneck direction of Michael Curtiz, the story gets off to a bang-up start, with a dandy race between a train and a stagecoach. 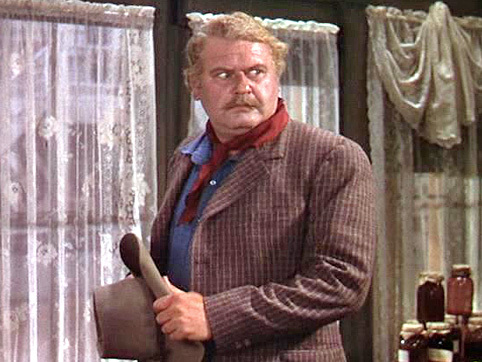 Then it proceeds to introduce its wandering soldier-of-fortune hero (Irish, a Warners tradition), played by Errol Flynn with his top-of-the-career vigor, and his two sidekicks, Alan Hale (who else?) and Guinn Williams—a couple hearty lugs jist itchin’ fer a fair fite. The fight gets provided by the title town, sorely in need of taming, since it’s populated by a great lineup of snarling slimes: Bruce Cabot, Victor Jory, Ward Bond and Douglas Fowley. Olivia de Havilland stands for Purity, as the gal you’d write home about: Ann Sheridan sashays as the kind you’d leave home over. Of course his intentions are honorable! 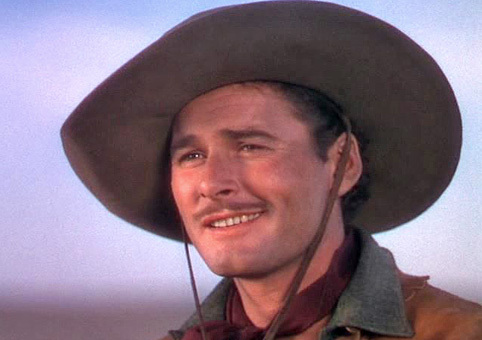 Concern about Australian import Flynn selling it as a cowboy was massaged by the script having him come from Ireland, serve with the British in India, fight with rebels in Cuba, drive cattle in Texas and ride with Jeb Stuart’s cavalry during the Civil War. After this, screenwriters dispensed with Flynn back-story labors and he starred in seven more westerns. Production quality is high. Location scenics are courtesy of California’s once lush Central Valley, near Modesto. 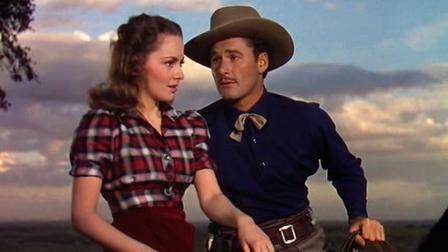 Great costuming, a typically ripping score from Warner’s workhorse Max Steiner, one shootout after another, all wrapped up in gorgeous Technicolor (shot by Sol Polito & Ray Rennahan). Least impressive element of this hoedown is the stereotypical script that Robert Buckner penciled up. Then again, that’s part of the fun to be had, the simplicity of the good guys versus bad guys, lines clearly drawn. Snitting over the lack of depth in the writing seems downright Parisian when you get swept up in the barroom donnybrook sparked by Ann Sheridan’s singing of “Marching Through Georgia.” Guinn Williams, Alan Hale and some of their Reb pals don’t cotton to this ditty. Victor Jory takes issue with their objection, and in a few moments what looks like two hundred guys are using every breakaway bottle and chair in the studio’s prop department to express their opinions, flailing and crashing away with such hysterical abandon that you regret not being there to participate. The stunt-duo plunge through a second-story staircase and balcony, and that hurled oak table get special marks for effort. I wonder if they showed this to guys in boot camp to teach them how to properly decommission a drinking establishment? The 104 minute goofiness came out in 1939, and was one of the big hits in that Year of Years, grossing $6,800,000. 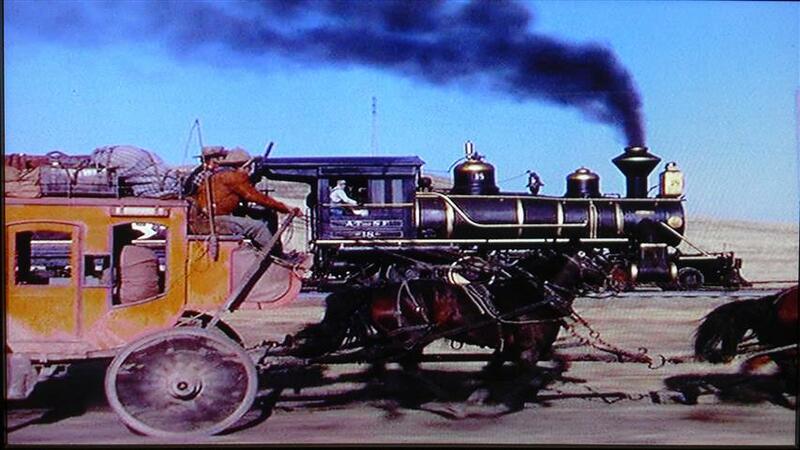 Among the still-untopped array of classics that showed up in ’39, keeping this dusty company were a holster-full of famous westerns: Stagecoach, Jesse James, Destry Rides Again and Union Pacific. 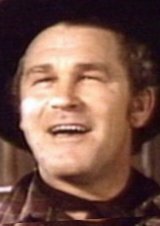 I was fortunate to personally hear a classic Golden Era story from ‘bad guy’ Douglas Fowley about something that occurred during the filming of Dodge City. 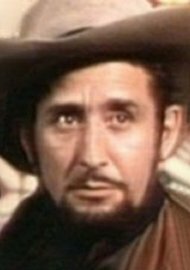 Seems that Guinn ‘Big Boy’ Williams, reputedly the strongest hombre in Tinseltown, got into a fracas with Victor Jory. They locked themselves in a room and duked it out, almost to the manslaughter point, with the wiry Victor mopping the floor with Big Boy. Hoo-ray for Holly-wood! With Frank McHugh, John Litel, Henry Travers, William Lundigan, Russell Simpson, Clem Bevans.